Is an ephemeral platform known for silly selfies and kawaii filters capable of helping women reclaim their powers of expression? I waited when it came to Snapchat, the app that lets users send pictures and decide for how many seconds the snapshots can be seen. I was late to the extravaganza that never lasts more than 10 seconds and always vanishes within 24 hours. As a writer, I don't romanticize the transient. We all have our furtive wishes. Mine is that some clever observation I commit to prose outlasts me. And so I do my futile bit to leave a virtual record. I commit my most incandescent memories to Instagram. I share the quippiest version of myself on Twitter. I comment on modern womanhood online and in print. We have forever been made invisible, I insisted. Were women now supposed to choose to disappear? Were we supposed to be enthusiastic about it? For centuries, culture has frozen women in time. We've been immortalized, elegized, made silent in prose and paint by male artists. We've been made into a million Venuses, sprawled out and on show. We're Olympia, relaxing on a chaise. 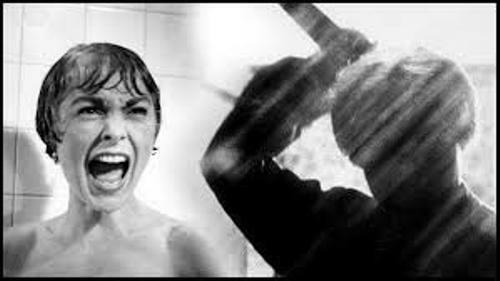 We're Marion Crane, screaming in the shower. And maybe Snapchat once had similar "ambitions" for us. When The New York Times covered the app in May 2012, writer Nick Bilton explained the draw of "indiscreet photos, glimpsed then gone." He observed that pictures of less-than-dressed women illustrated Snapchat's Apple App Store description. He commented that "[m]entions of the app on Twitter indicate that many young people use it for photo-based banter with friends, though there are references to its less innocent potential." I liked the piece, a vindication of my suspicions. But while I fine-tuned my screed, the good women I knew had started to use the app. They swapped photos of themselves on the treadmill, red-faced and glowering. They snapped sublime sunsets and sad desk lunches. My friends, my foes, the "hipsters," the barista across the street, my boss—they were all there. Suddenly, I wanted in on the conversation. I wanted to take hideous pictures on the condition of their transience. Never mind sexts. I wanted to walk down the street and make faces at my iPhone screen. So, I created a username. It took about two weeks to realize the pleasures that I had missed out on. I remember, once, a friend scrawled over a photo of the brilliant ocean in hot-pink letters: "better IRL." The boast winked, a reminder that the person who makes and annotates a work gets to take at least the first stab at how her viewers see it. I was smitten. And famous people were on it—well-known women, our celeb-feminists. Every once in awhile, someone shared a moment that made headlines, that launched a million screenshots. Earlier this summer, Michelle Obama joined and The Internet exploded. In February 2015, Madonna turned to Snapchat to premiere a new music video -- a smart and apt move for a woman who has always been the teller of her own story. And when Amandla Stenberg took over Teen Vogue's Snapchat to promote her cover of the magazine in January 2016, she used the medium to come out as bisexual. She didn't take a deep breath and make a proclamation. She just mentioned it, the way you would mention it to a friend. She said it not to titillate or to provoke, but as a statement of fact. "It's a really, really hard thing to be silenced and it's deeply bruising to fight against your identity and to mold yourself into shapes that you just shouldn't be in," she said. "As someone who identifies as a black, bisexual woman, I've been through it." "We cannot be suppressed," she continued. "We are meant to express our joy and our love and our tears and be big and bold." She said women should not have to be "easy to swallow," fixed in a stare. She looked into the camera lens: "Here I am, being myself." But for all the stories that turn into #content, a million more fade into oblivion. Most of what flashes on (and off) Snapchat will never make waves, even when the person who posts it is Rihanna. The snaps aren't meant to make an impression. A text is how your friend can sit in your consciousness even when she's far. A letter is how she can send a piece of her love across cities or states or continents. A snap is how she materializes, unbidden. For however many seconds she chooses, it will give you permission to take a good look. And seconds later, it's gone. Snapchat hasn't become the terrible locus of harassment and sexual wickedness that the critics forewarned. That's what Twitter is for. Instead, it's given women a tool of representation of our own. It's an exhale: Here we are, being ourselves. Hashing out the allure of Snapchat for The New York Times Magazine in May 2016, Jenna Wortham wrote that "[i]ts entire aesthetic flies in the face of how most people behave on Facebook, Instagram and Twitter—as if we're waiting to be plucked from obscurity by a talent agent or model scout. But Snapchat isn't the place where you go to be pretty. It's the place where you go to be yourself." And by extension, it's the place where you go to see yourself. You are the appraiser, the painter, the eye. Snapchat is the techno-social expression of the female gaze. It isn't "pure" or worse—virginal. It's not raw. And it's so much the better for it. Otherwise, we'd never be able to turn into bumblebees and puppies or vomit rainbows or swap faces with Saint West. Snapchat is one more way we tell the world that we fashion ourselves, we frame ourselves, we decide. If only Venus of Urbino had been extended the same grace. Just think: She'd probably have a selfie stick. She'd probably vomit rainbows. And maybe Snapchat is not for always. It's for now. Intimate and irreverent, Snapchat is an ode to femaleness. Fickle, immediate, a little pointless, full of intention—it's the diaries that you've decided to burn. It doesn't make you answer for who you were when you were 14 or 26 or 35. It just lets you be. For a little while, anyway. Because decades from now, people will never be able to see us as we saw ourselves.